As we gather with family and friends, keep safety in mind so that the holidays are fun and memorable. 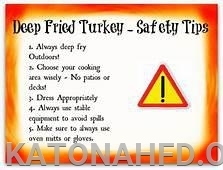 According to the National Fire Protection Association, Thanksgiving is the peak day for home cooking fires, followed by Christmas Day, Christmas Eve, and the day before Thanksgiving. 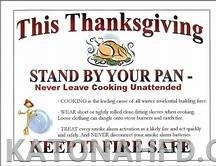 In 2016, U.S. fire departments responded to an estimated 1,570 home cooking fires on Thanksgiving, the peak day for such fires.Unattended cooking was by far the leading contributing factor in cooking fires and fire deaths. Cooking equipment was involved in almost half of all reported home fires and home fire injuries. It is the second leading cause of home fire deaths. Katonah Fire Department wishes everyone a safe and Happy Thanksgiving!